You know those sunny, but *crisp* cool days where you aren’t so cold that you’re miserable but cold enough to need a jacket and when the sun hits you, the warmth makes you feel like all is right in the world? 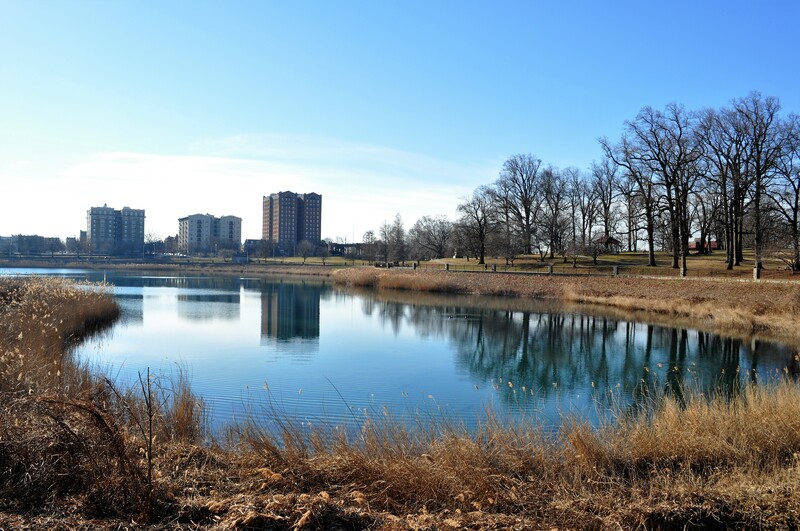 It was one of those mornings when we visited Druid Hill Park. The perfect day to lay in the grass and soak up the rays. We had time to kill (which is an awesome thing) before the Maryland Zoo opened and it just so happens that Druid Hill Park is just outside the zoo entrance. There’s something cool about parks in the city. It’s the oasis factor I think. An island of green in a sea of grey. We drove through some seriously rough neighborhoods on our way there. I mean scary bad. Windows busted out of every other home bad. Lock your doors bad. But, when we got there, it was like we were in an entirely different place than we were in 60 seconds ago. People NEED that. Even D realized how valuable some time to just sit in a beautiful place and ponder is. He picked a spot in the grass facing the lake and declared it to be his “peaceful spot.” He just hung out there playing with some sticks, listening to the ducks quacking. He didn’t want to play on the playground, or go for a walk. He just wanted to sit. So Dad and Mom divided and conquered as little brother wasn’t too keen on the sitting still in one spot thing. O checked out the playground and gave it his seal of approval. My suggestion is to incorporate the park in to your zoo visit. If you’re early risers like us, it’s the perfect way to get out the door right after breakfast and have a double-adventure day. The zoo parking lot is a minute away from the playground at the park, it couldn’t be more convenient!